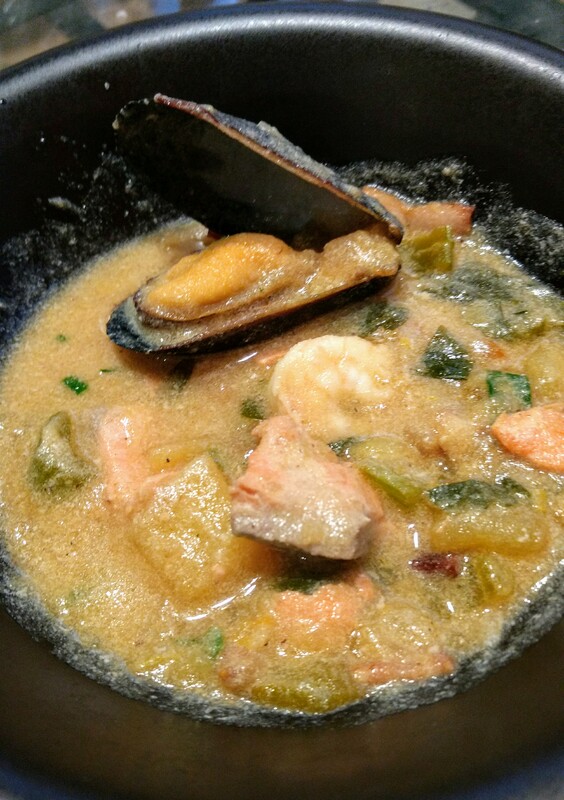 We had this lovely seafood chowder tonight. Here’s the recipe. Only change I made over the original recipe was to add mussels, shrimp, and wild salmon in addition to scallops, and used goat broth instead of chicken broth (well, it’s just what I had in my freezer). It was really awesome! The lemon zest did the whole trick to bring this recipe to another level!